According to a recent Irish poll, 76% of the respondents said Britain should remain in the European Union. However, this is what leading British political figures have to say on the issue. A decision of the European Court of Justice that non-EU nationals entering the UK cannot be imprisoned is cited as yet another reason for UK withdrawal from the EU. UKIP Migration spokesman Steven Woolfe MEP said “This judgement blows a hole in Cameron’s argument that the EU makes us more secure. Only Brexit gives us control of who comes here and whether they can be deported at a time of our choosing. 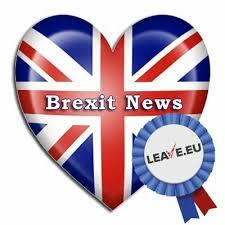 “To sum up – the euro court rules non-EU nationals illegally entering UK cannot be imprisoned. It is insanity to leave it up to the migrants whether they should leave promptly or not. “Due to our EU membership, being outside Schengen makes no difference when it comes to deporting those illegally entering the UK. “This ECJ judgement shows that as an EU member, the UK cannot properly protect its borders and its people. UKIP’s Small Business Spokesman has backed more than 200 bosses of firms who have signed an open letter urging Britain to leave the EU. East Midlands MEP Margot Parker said the letter – which urges people to vote for ‘Brexit’ – proves the strength of feeling among small business owners, who are sick of being entangled in EU red tape. stifles growth, discourages innovation and stops them expanding and creating jobs. “Small business owners are frankly sick and tired of being wrapped in unnecessary rules and regulations imposed on them by the EU. This letter proves just how they feel – the strength of feeling among our entrepreneurs is growing day-by-day. “They are quite right to say people should not listen to a ‘minority of managers from Britain’s largest companies’ who want to stay in the EU. Small business owners are the lifeblood of local communities – but they need flexibility and they need to be free of the shackles which add to their costs and time. “Many small businesses occupy positions in the supply chains of heavy industry, and they have been hit hard by the decimation of our industrial sector thanks to EU environmental regulations forcing the jobs to move to countries without such heavy-handed limitations. The Economists for Brexit is a group of eight independent, leading economists who are convinced of the strong economic case for leaving the EU. To date, debate on the economic merits of whether the UK should remain in the EU has become overwhelmed by the Government’s Project Fear campaign. Each of the eight economists have become exasperated by the scaremongering and often economic illiteracy of this campaign. At the same time, the group believes that whilst there are a substantial number of economic arguments to support Brexit, they are yet to be made in public. The purpose of this group is to explain the vey clear economic arguments in favour of Brexit, offering voters – who are crying out for clarity on the economics of Brexit facts based on proven economic models, as opposed to speculation. The group will seek to communicate over the coming weeks, through the media and at various events, the clear benefits that will be felt by the UK on leaving the EU. The campaign will hope to ensure that the voting public has a clear picture of arguments in favour of Brexit, based on proper economic research, fighting the speculation and hyperbole of the Project Fear campaign. The UK does not need to do a trade deal to trade. It already trades extensively with many countries across the globe under the rules of the WTO and can continue to do so with EU countries in the future (in the same way that the US, Japan and China does). Leaving the EU will decrease prices and boost GDP. The City of London will retain its role as the world’s leading financial centre outside of the EU. The UK is a net contributor to the EU budget and those funds could be utilised far more efficiently elsewhere.